I won't even start on the faces and the all-seeing eye in this one, Paul but I love your perspective in this wonderful composition. What a great presentation of lines, form and texture. Thank You! We took a good look and now we see all kinds of eyes and faces. I see a great image. This is really cool! How is that column of ice formed? 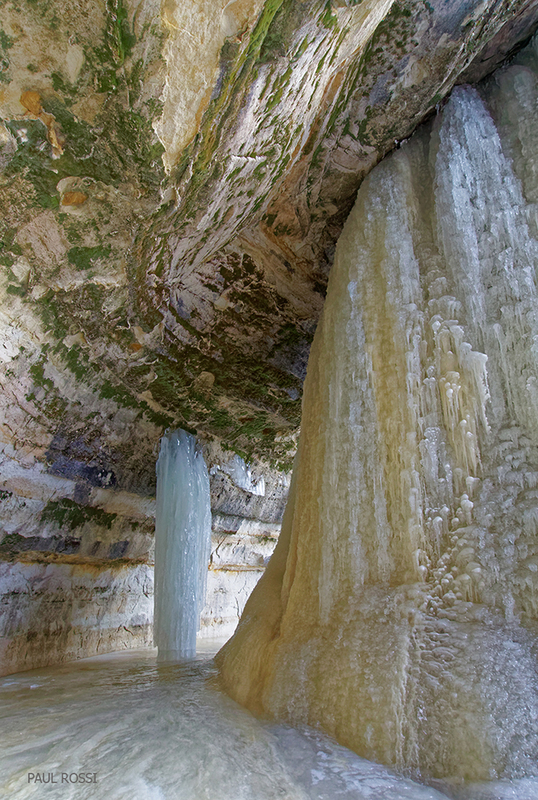 The column (to the left of the big frozen falls) must have formed from a trickle from a hole in the rocky ceiling. Nice rendition of this creation by mother nature. Lot's to explore. Another beauty, Paul. Love the composition and variety of textures in this one. You are finding such amazing formations- a real treat to see.